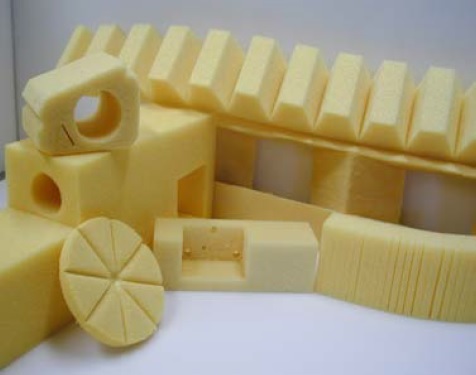 Solimide AC-530 foam is used in aircraft, aerospace, and industrial markets. Solimide AC-530 is used in a variety of applications, including expansion/contraction joints in cryogenic applications, as well as aircraft fuselage, under floor, and duct insulation. Solimide AC-530 foam is a lightweight, non-wicking, fire resistant, thermal and acoustic insulation material. Solimide AC-530 is compatible with many different facings, coatings and adhesives. Solimide AC-530 can be cut into numerous shapes or sizes to meet end user requirements.